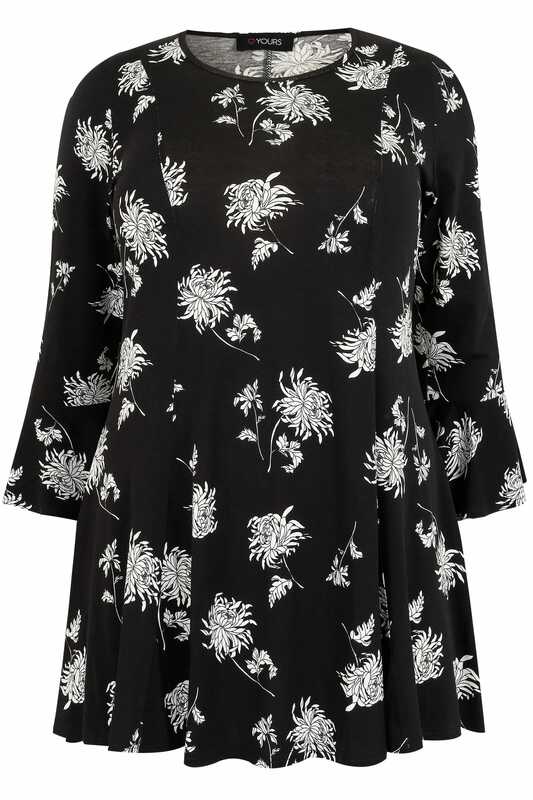 Woven from a super-soft and comfortable jersey fabric, this chic peplum style top has been designed in a longline style with flute sleeves. Team with dark denim and your favourite heels for an after-dark look! 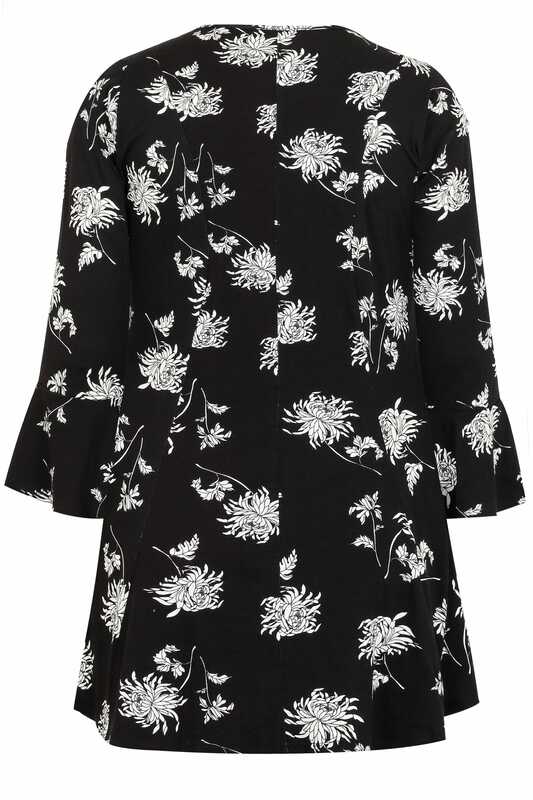 Perfect for desk-to-dinner styling, it is totally on-trend with its monochrome print.